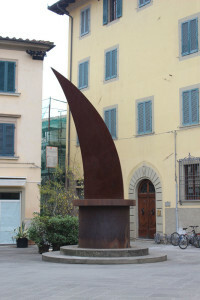 Contemporary Art in Pistoia | Che Bellezza! Is it possible to find contemporary art in a medieval Tuscan town? Pistoia is an example of this. During this tour you will walk through the streets of a typical medieval town discovering how much contemporary art is housed in. You will discover the sculpture of Marino Marini, one of the greatest artist of Pistoia, beloved by citizens and known all over the world. 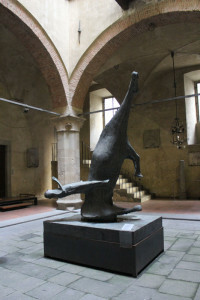 You will also see a really criticized artwork, the Moon in the well by Gianni Ruffi. Perhaps you will love it, after your guide explaining it! You will also see the Museum of Palazzo Fabroni, that houses the Center of Visual Arts in the beautiful setting of a palace of the XVII century: there you will be certainly seduced by the Sculpure of shadow by Claudio Parmiggiani. 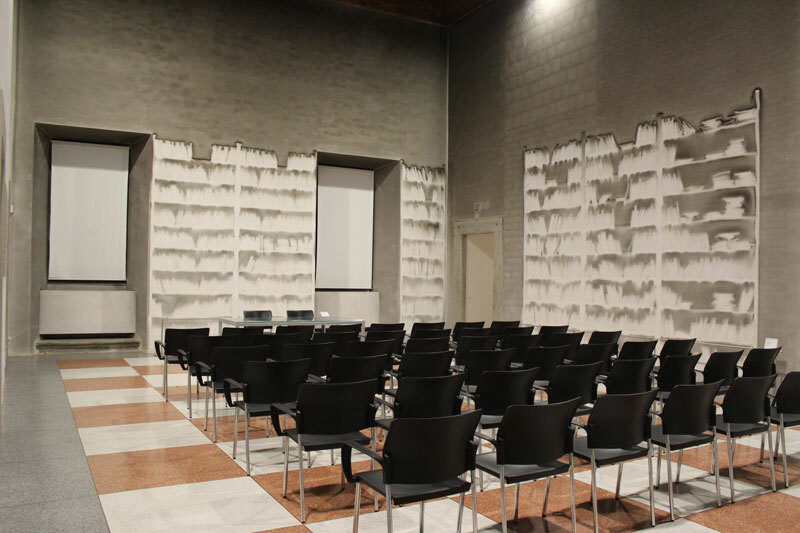 Beyond the artists of Pistoia, you will also admire artworks by internationally renowned artists such as Jannis Kounellis, Luciano Fabro and Enrico Castellani. The cost does not include the entrance ticket to the Museum of Palazzo Fabroni.